For starters, here are some Sussex suppliers we'll be using. 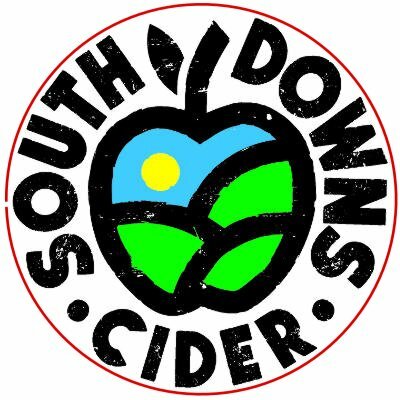 South Downs Cider offer a wonderful selection of traditional craft cider, including a number of fruity ciders flavoured using only natural ingredients. No artificial stuff here! All of the apples we use are sourced from Sussex orchards and pressed, fermented and packaged on-site. With a growing number of outlets in and around Sussex, you’ll have no trouble finding a pint to try. 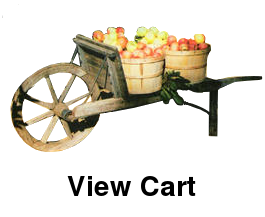 Craft cider at it’s best! Harvey’s Brewery Sussex Best Bitter is a superbly balanced bitter with a prominent hop character. It is their most famous and popular beer and makes up over 90% of their total brewing capacity. Rothaus - The Rothaus brewery is located in the Black forest near to Waldshut, the twin town of Lewes. Established in 1791 (a year after Harveys), Rothaus produce a range of fine beers to the German Reinheitsgebot laws. Rothaus Pils is fermented from bottom-fermenting yeast that’s been developed in house, before maturing for roughly four weeks. During this period, its robust and elegant flavors and its high Rezenz are cultivated. Rezenz is the term for the refreshing feeling produced by the carbon dioxide in beer. The Dinkelacker brewery is based in Stuttgard Germany and has been brewing quality beers since 1888. In brewing their beers, they use only the best ingredients and recipes that have been passed down for generations. The beer's tart, fresh scent and its floral hop bitterness are provided by the finest Tettnanger hops. The selected malts and our fresh brewing water give Dinkelacker CD Pils its unique characteristics. This rustic country beer is brewed according to a special recipe. The pungent and spicy taste owes it to selected ingredients and the skills of our master brewers. Oysterband, the 5-times BBC Radio 2 Folk Award-winning outfit that brought passion, power and not a little poetry to folk and roots music, enter their fifth decade as vital and creative as ever, with some of the finest songs in the modern folk canon to their name: Put Out The Lights; When I’m Up (I Can’t Get Down); Blood Wedding; Everywhere I Go; The Oxford Girl; Granite Years; Native Son; A River Runs…..these and many others from their vast back catalogue will feature as they embark on another year of international touring and festivals. Theirs has been a unique and fiercely independent career. Oysterband still play with that spirit of the punk ceilidh band that roared through people’s lives all those years ago. But the growing depth and sensitivity of their songwriting, coupled with the strength of John Jones’ voice and their remarkable musicianship, have lifted their music into a richer, more acoustic era. Their occasional collaboration with folk diva June Tabor has produced two cult-classic award-winning albums, Freedom & Rain and Ragged Kingdom. The latter and their hugely influential album Holy Bandits were voted nos. 4 and 5 among the Ten Best Albums of the last 30 years by the public in a poll by fRoots Magazine in 2016. Sausage and mash! Is there anything better to compliment the fantastic cider you'll be drinking at the Festival? Choose from a selection of great sausages made by local butchers. Add a roll or a dollop of mashed potato and you're set. Richards butchers were established on the 1st January 1934 by Francis (Frank) Henry Richards, Their reputable family business has served customers for over 80 years and is run by Frank's grandson, Peter. Situated in the historic county town of Lewes, their reputation has been built upon supplying fresh, high quality meat sourced from good and where possible, local suppliers. Established in Ringmer, for over 40 years, Lew Howard is a great traditional family butchers where expertise has been passed down from generation to generation, by Lew's father and grandfather, and now carrying on the family tradition to his son Darren. Lew always try to source the best local meat produce including organic beef and lamb, as well as local free range pork & poultry. This ensures our customers have the freshest and best quality meats as possible. Lew also makes a range of wonderful vegetarian sausages, some of which we will be selling at the festival. All payments are via Paypal. Click an option below to be taken to Paypal to complete the transaction. Note - You do not need a Paypal account to complete your purchase. Tickets will be posted to you within a week of purchase. A fee of 60p is included in the final cost to cover P&P. The 2019 Sausage n' Cider festival is being held over 2 days in the Corn Exchange Lewes on Friday 20th September and Saturday 21st September. The Corn Exchange is part of the Lewes Town Hall complex and was built in the 1840's as a trading point for local farmers. It is centrally located in Lewes and can be reached easily by rail, bus or car. There is no parking at the event but there is plenty of parking in nearby council run car parks. Information on parking in and around the area can be found on Lewes District Councils website. There are regular rail services to and from Lewes, provided by Southern. Go to the National Rail website to find out more information on times, facilities etc.